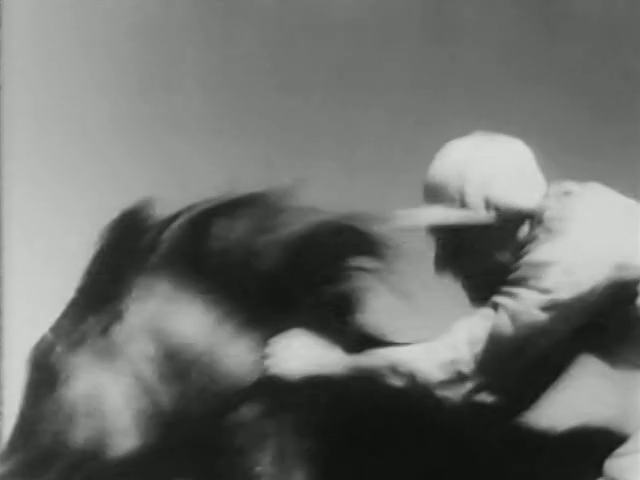 Tommy Dawson (Frank Leighton), would-be horse trainer, buys an emaciated stallion called Stormalong on a trip to New Zealand. 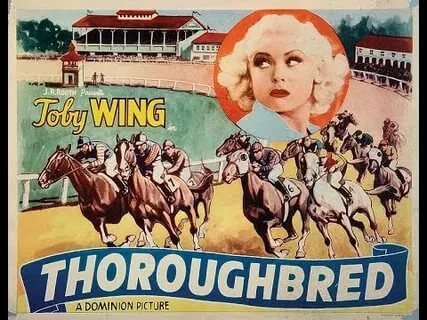 When it loses its first race, the insecure Tommy vows to sell it, but Tommy’s fiancé Joan (Helen Twelvetrees), a much better judge of horses, rescues Stormalong. 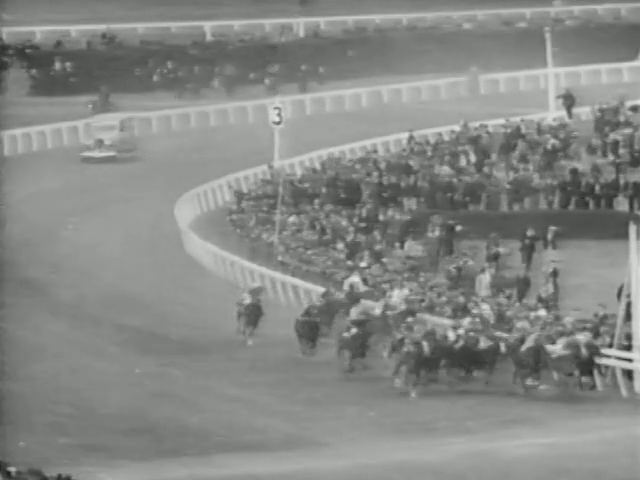 With Tommy’s mother, Ma Dawson (Nellie Ferguson), Joan turns Stormalong into the greatest racehorse in Australia. As the Melbourne Cup approaches, an international crime syndicate decides to kill Stormalong. Tommy has to foil the plot on race day. 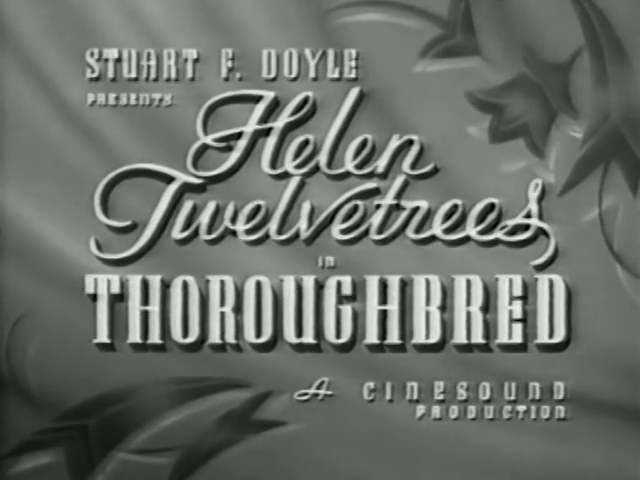 Thoroughbred is one of Ken G Hall’s stranger pictures, in terms of script. Frank Leighton’s character is a working-class boy with a chip on his shoulder, no talent for horse training, and an aggressive streak. The film makes fun of his desire to wear a top hat and be a big man, but he’s still treated as the leading man – when actually, a lot of the film is about a leading woman, the feisty and much more capable Joan, played by American actress Helen Twelvetrees. Joan’s loyalty to Tommy is difficult to understand, given that she thinks he’s ‘sweet and worthless’, and given her attraction to Bill Peel (John Longden), the much more sophisticated scion of the stud next door to Ma Dawson’s place. And yet, Leighton’s character remains memorable, precisely because he’s driven by so many psychological demons. 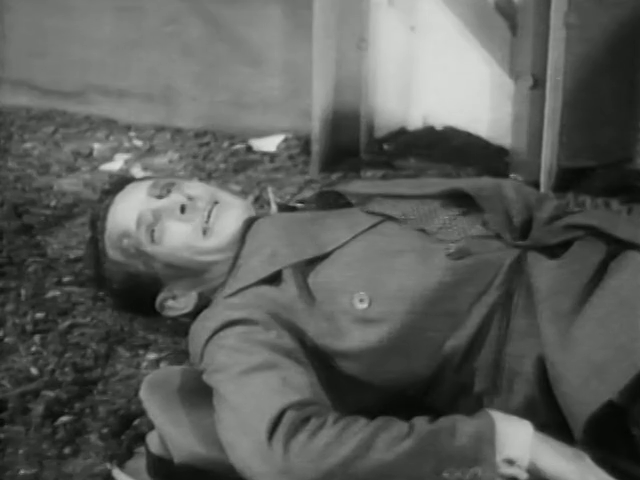 Characterisation wasn’t normally so important in Hall’s films, but this character seems to have exercised his emotions. The picture is supposed to be an exciting tale of an ugly horse’s rise to fame, and a vehicle for Twelvetrees, Cinesound’s specially imported new glamour star, but the real emotional core of the film is how Tommy Dawson comes good in the end, from pretender to action hero. The film is also notable for some technical innovations, and two controversies. This was Cinesound’s first film using back projection, with equipment that Hall bought during an extended research trip to Hollywood in early 1935. Back projection allowed scenes that would normally have to be filmed on location to be done in studio, saving time and money. 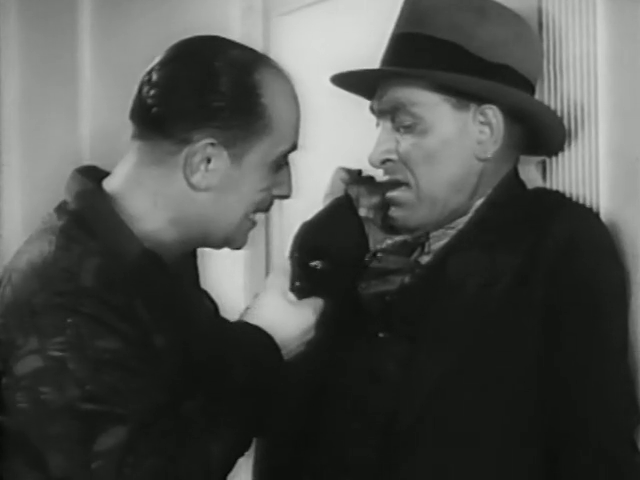 Hall introduced the technique to Australian filmmaking and used it extensively in all subsequent Cinesound productions. On the same trip, he hired Edmond Seward, a Hollywood writer, to come to Australia. 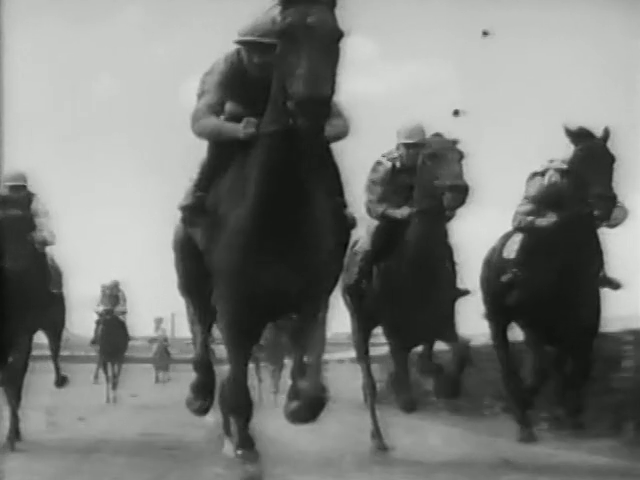 Thoroughbred was Seward’s first script for Cinesound, but the ending led to allegations of plagiarism, since it is almost identical to the end of Frank Capra’s 1934 film, Broadway Bill. In his autobiography, Hall says he had not seen the Capra film, but concedes there was ‘some justification’ to the allegations. Nevertheless, he used Seward on his next film, Orphan of the Wilderness. 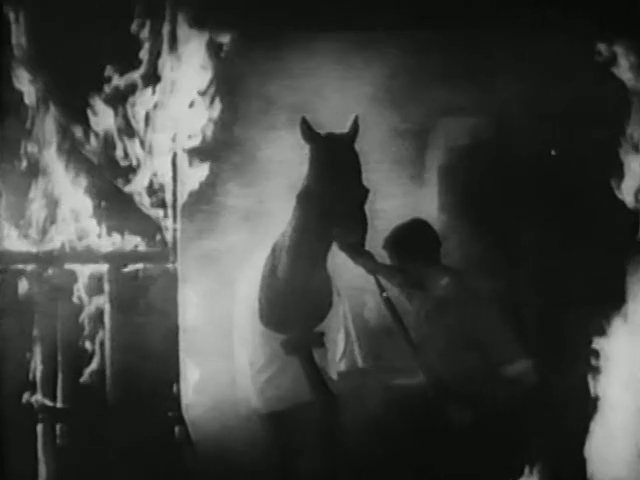 Both films would eventually have problems with the British film censor over allegations of cruelty to animals. The second controversy, kept secret at the time, was that Helen Twelvetrees and Frank Leighton were having an affair during the production.